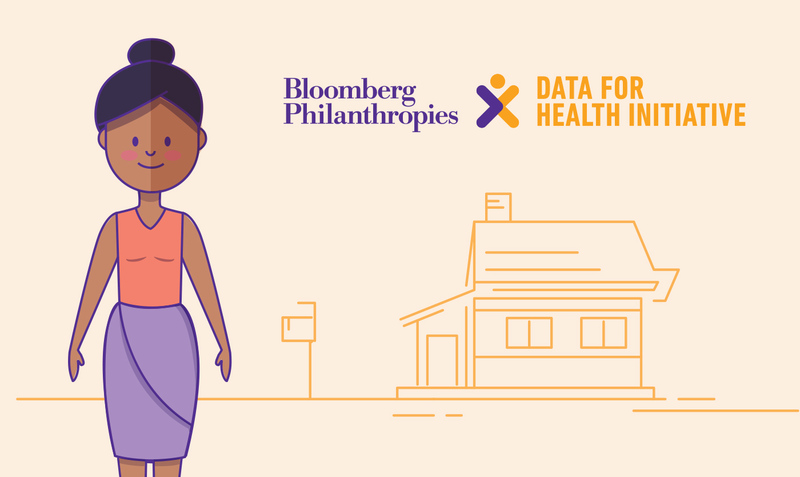 Bloomberg Philanthropies Data for Health Initiative has partnered with low and middle-income countries to dramatically improve health data. 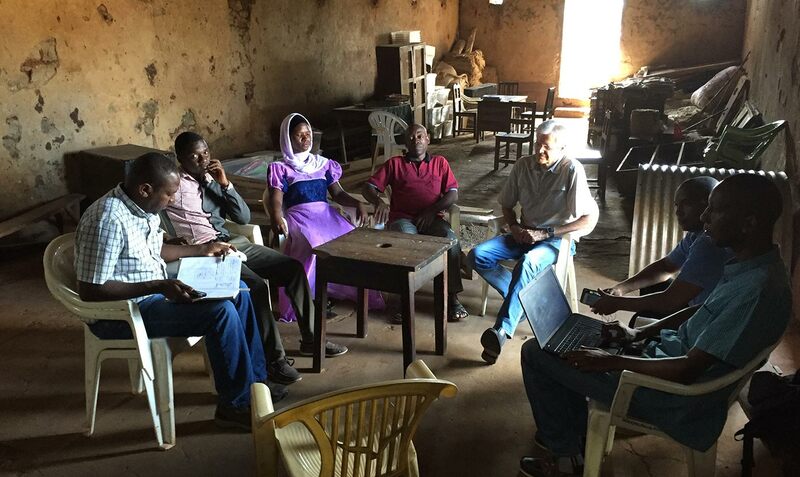 The goal is to save lives by ensuring countries have more accurate public health information. We partnered with the $100 million initiative to design, develop and launch a web platform that provides users innovative and sustainable ways of using the Civil Registration and Vital Statistics (CRVS) training programs including a series of educational videos and questionnaires. The initiative, based at the University of Melbourne, is tasked with providing easy access to the CRVS education program to over 100 countries in an innovative and sustainable way. The solution must ensure the availability of materials, tools, and resources for the global CRVS (Civil Registration and Vital Statistics) community during and following the Data for Heath Initiative. 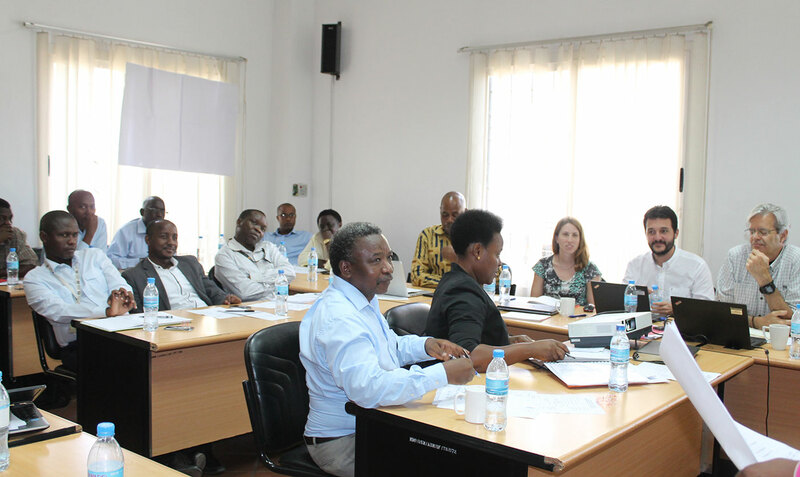 It must also provide access to relevant and comprehensive knowledge about CRVS that will reinforce country interest in developing their CRVS systems. Together, the teams developed a custom approach using strategic, creative and technical skill sets to provide a full bespoke online training solution. As this was a dual branded initiative, we needed to be mindful of the relationship between UoM and Bloomberg Philanthropies and develop a neutral aesthetic across the platform and supporting materials. Presented with a 500 page printed training handbook, our UX team converted the contents into an online interactive learning journey, with an agile backend that allowed for additional modules to be created as required. Content was simplified and rewritten to a level that made for easier understanding by the intended audiences across developing nations. 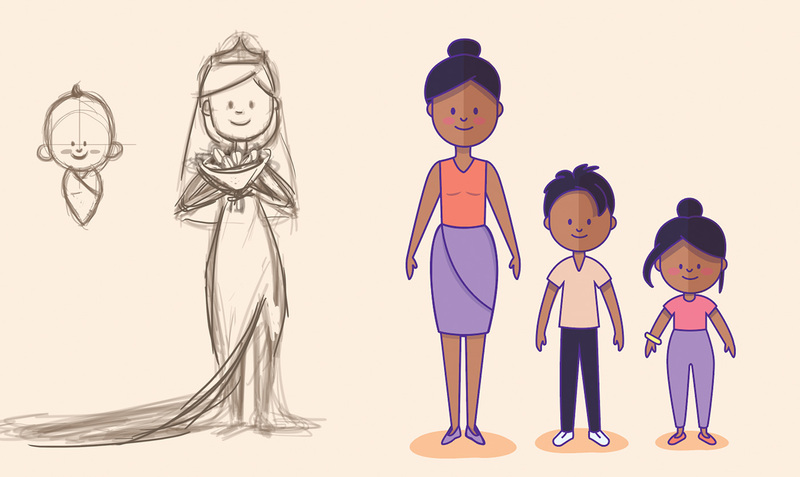 The design team created a series of characters for use across the platform. These avatars were created to look approachable, friendly and familiar, as the subject matter (death) could at times be confronting. The CRVS Knowledge Gateway website was launched at an exclusive Bloomberg event in New York, November 2017. Custom built using the Laravel framework, and utilising Amazon Web Services’ lightning fast infrastructure, the Resource Gateway LMS (learning management system) works as a full introduction into CRVS Systems. 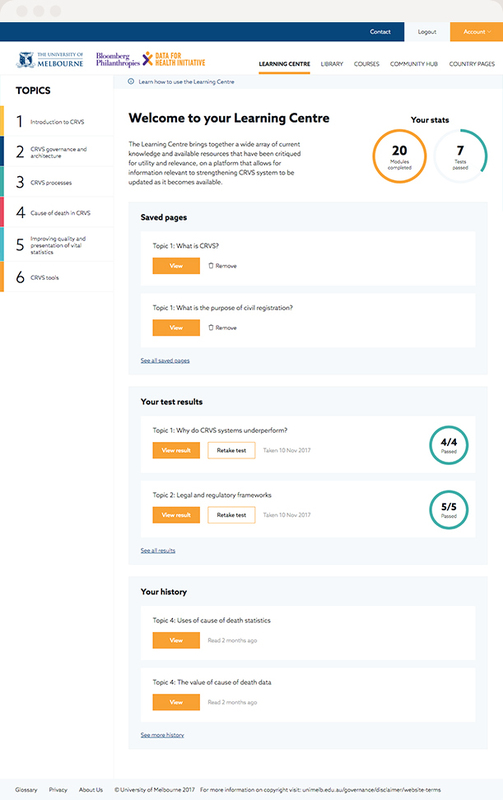 The purpose of the LMS worked to encourage users to register and engage with the content, and work through the modules in the learning centre through online quizzes, this was achieved and can be seen through the number of repeat user sessions.